Götti eyewear can be purchased around the world. It is, however, easier to export to some countries than it is to export to others. Find out how Götti overcame trade barriers and which markets the Swiss company has its sights set on next. The contemporary eyewear label Götti has its roots in the old town in Lucerne, where, 25 years ago, optician Sven Götti sold the first glasses from his collection. The minimalist, linear, and elegant glasses were a hit with customers – so much so that he soon started thinking about offering his collection to other retailers as well. Over time, the original three-man operation has grown into an SME that employs 30 people at its headquarters in Wädenswil, with the same number working on commission in the sales force. 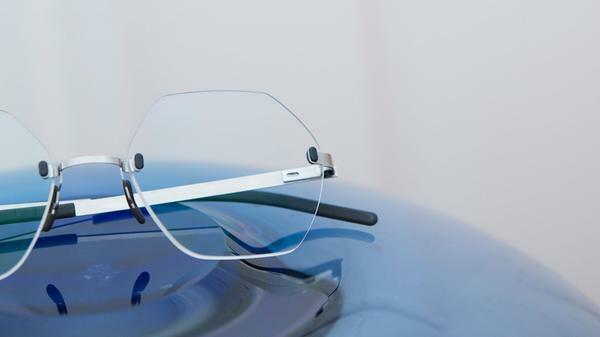 Initially, Sven Götti used leading manufacturers in Germany and Japan to manufacture the glasses, which he then exhibited at international trade fairs. "We don't actively market our glasses. Experience has shown that sales take care of themselves when the market is ready." To start with, Götti glasses were most popular in Germany and the Netherlands, but more and more new markets have been added over the years. So, what is the recipe for success? "Job satisfaction and pleasure in seeing development. We perceive projects as challenges that we are happy to embrace. And this authenticity has been warmly received." Optician Sven Götti founded the company that bears his name in 1993. It now employs 30 people at its headquarters in Wädenswil, with the same number working on commission in the international sales force. Some 100,000 Götti glasses are sold in 30 countries every year. The EU is the company's most important market, but Götti has also successfully grown its presence elsewhere in recent years, particularly in the US. Götti glasses are also available in Asia, Australia, and in other locations. Around 60% of all Götti glasses are exported to the EU. "Initially, exporting within Europe was extremely simple; you just had to fill out a customs form. That was all." says Sven Götti. Nowadays, there are far more checks and guidelines that you have to get to grips with if you want to avoid problems when exporting. "The customs history has become important; a lot of money is involved," adds Kerstin Vogt, who is responsible for international trade at Götti. For Götti, key factors in trading with the EU were having its own German VAT identification number and a customs identification number. The latter facilitates collective customs clearance so that there is no need to declare each individual package to customs, while the former simplifies the VAT accounting process. "In the past, people who bought our glasses had to pay VAT when they actually received the goods. Now the billing process is much simpler," explains Kerstin Vogt. Götti sends all of its exports to the EU via Germany, as this has proved to be more practical thanks to the registrations mentioned above. "It's important to get to grips with the relevant processes and pay the fees," emphasizes Kerstin Vogt. As a result, the Swiss customs office is a valuable point of contact, particularly when changes are made, such as three years ago when Germany amended its customs law. We don't actively market our glasses. Experience has shown that sales take care of themselves when the market is ready. Exporting to the US was more difficult than to the EU. Götti spent a long time using its sales force staff to try and establish a foothold in the United States before coming to the realization that: "We have to offer the same service in the US as we do in Europe," says Sven Götti. For this reason, Götti founded a separate company in the US just over a year ago. "That was certainly a challenge, and the initial costs were high," explains Sven Götti. Registering with the Food and Drug Administration (FDA) alone costs a hefty sum every year, but this is unavoidable because glasses are a medical device. However, setting up the subsidiary in the US has paid off. Exporting is significantly easier, and service has become more direct. To give an example, no tax number is required for trade within the US. "Americans don't like issuing this number," says Kerstin Vogt, from experience. "Therefore, it's easier for us if we can send packages straight from New York." Sven Götti is also glad that he founded the company before Donald Trump tightened customs regulations: "We founded the company at the right time, but things were initially difficult; we had been going around in circles." When founding his company in the US, Götti received support from Switzerland Global Enterprise (S-GE). The organization advises international businesses on behalf of Switzerland's federal government and cantons and provides contacts abroad. Credit Suisse has been an important partner of S-GE since 2009. Thanks to this partnership, Credit Suisse corporate clients benefit from extensive specialist knowledge and a network of contacts in all major export markets. Götti also has plans to expand into Asia, thanks to the new 3D printing process. Until recently, the company was purely a development and retail company using foreign manufacturers. A few years ago, however, Sven Götti started to experiment with 3D printing technology. This led to the creation of two collections that currently represent a quarter of the company's entire production. These glasses from the 3D printer are particularly suitable for exporting to Asia. On the one hand, the glasses are produced entirely in Switzerland, which goes down well in Asia. On the other hand, adjusting 3D printed glasses to suit Asian facial features is easier than with conventional glasses. "We anticipate that the new collections will help us break into the Asian market," says Sven Götti confidently. Even more so because the free trade agreement means there are hardly any trade barriers when exporting from Switzerland to Asia. Would you also like to become a successful exporter?